After leaving the director’s chair on Justice League due to a family tragedy in early 2017, Zack Snyder is getting back into the swing of things by directing Army of the Dead. However, he’s breaking with Warner Bros. for the first time in a decade to work on a new film with Netflix. In an exclusive from The Hollywood Reporter, Snyder has confirmed that his next project would be a new take on the zombie genre based on a project that hasn’t gone anywhere since it was first proposed in 2011. He will also be producing the movie with his wife Deborah Snyder, alongside frequent producer Wesley Coller, and it will be the first project released under his rebranded film, animation, and television studio The Stone Quarry (formerly Cruel and Unusual Films). Snyder created the story for the film with a screenplay written by Joby Harold. If the story details are consistent with the original plan back in 2008, then Army of the Dead will take place in a zombie-infested Las Vegas, which has been successfully quarantined from the rest of the world to prevent the spread of the outbreak. However, one group of mercenaries are set to do the unthinkable: find a way in, in order to pull off one of the most dangerous, bloodiest heists imaginable, and get out without risking infecting the rest of the United States. The movie serves as Snyder’s second take on the zombie subgenre of horror, following his work on Universal’s 2004 Dawn of the Dead remake. (It should be noted that Army of the Dead is not connected with George Romero’s Night of the Living Dead series or its many spin-offs, but is an original work.) 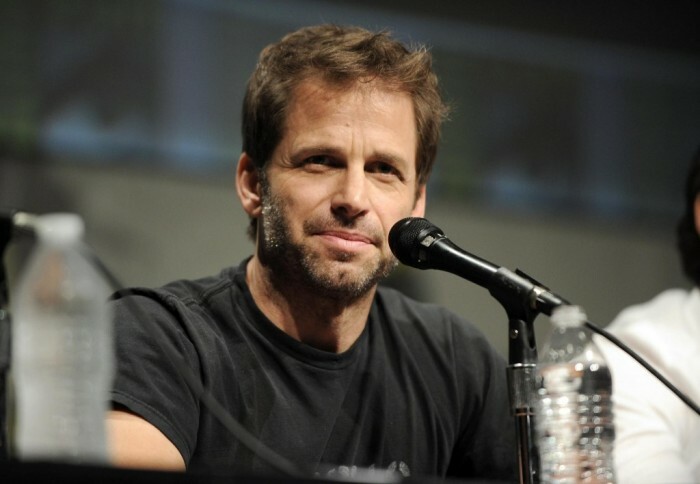 After Dawn of the Dead, Snyder worked exclusively for Warner Bros. between 2007 and 2017 on no less than eight movies in a row: 300, Watchmen, Legend of the Guardians: The Owls of Ga’Hoole, Sucker Punch, Man of Steel, Batman v Superman: Dawn of Justice, and Justice League. Snyder was originally hired to direct a follow-up to Justice League, and potentially another movie after that meant to close off his take on the DC franchise, alongside other, lower-budgeted passion projects like adaptations of The Last Photograph and The Fountainhead, but those plans changed once DC Films radically shifted in its creative direction and once he left Justice League to spend time with his family and raise money for suicide awareness causes. Judging by his comments that he doesn’t feel “handcuffed” at Netflix, and his production studio changing names from his time working with Warner Bros., it seems like his days at working with his former employer may be over. As of right now, it’s not clear if Netflix will make a move to acquire or otherwise set up a long-term partnership with The Stone Quarry, or if their collaboration with the studio on Army of the Dead is a one-time deal, but the article mentions that Warner Bros. sold Netflix the rights to develop the project and may do with other undeveloped Warner Bros. projects. The movie’s budget is expected to be as high as $90M, and filming is expected to begin this Summer. Army of the Dead is in development at Netflix, and it does not currently have a release date.